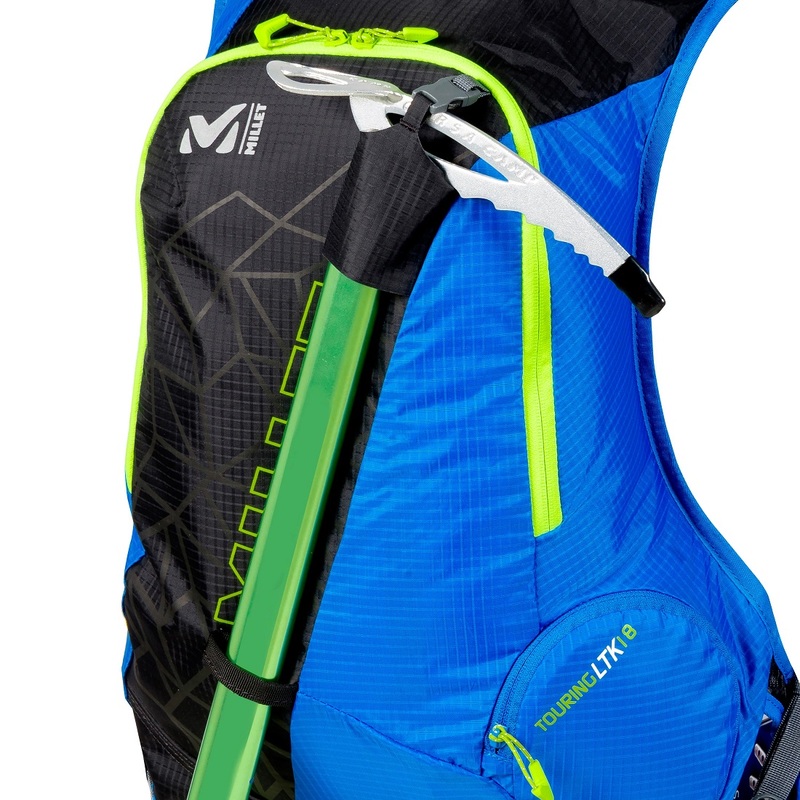 Inspired by trail vests, the Touring LTK 18 is designed for modern ski touring and mountaineering. As a bonus, it can be converted into a summer-time trail pack whereby the ski carry is used to carry poles. 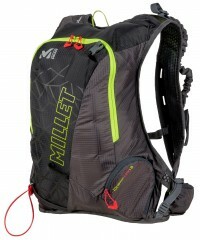 Millet clearly thought everything through on this pack. The LTK 18 has a clean-cut performance shape and flawless zippers with easy-grip cords. 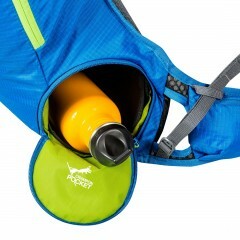 You can stow a good amount of items in front with a mesh flask holder and a zippered waist pocket. 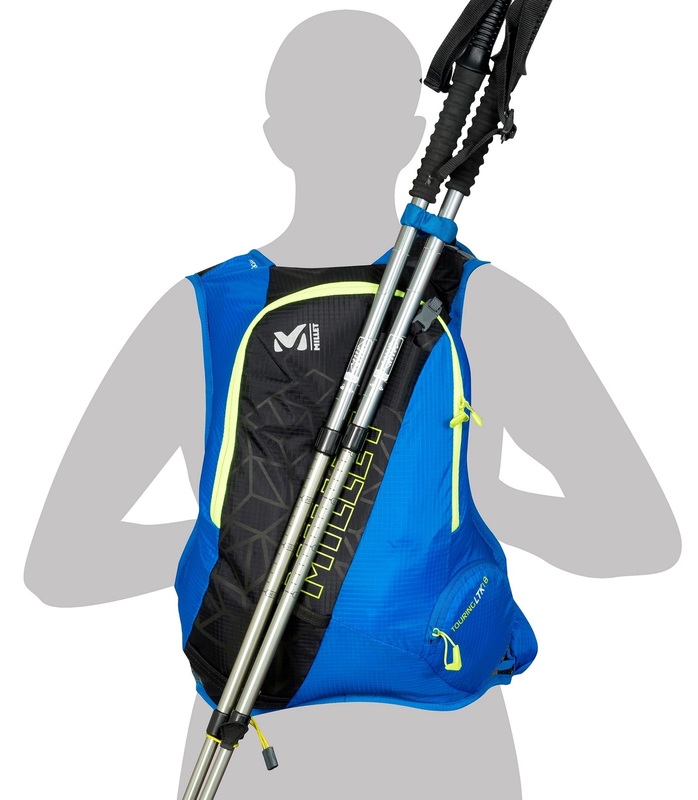 A crampon pouch and ice-axe holder are there when you’re ready to head up the steeps. The ultra-ventilated back and adjustable straps keep things comfortable. 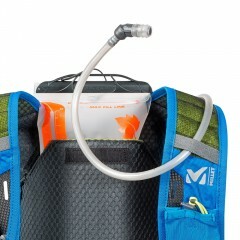 There is also a unique external bladder pouch so you don’t take up any of the 18 liters internally. 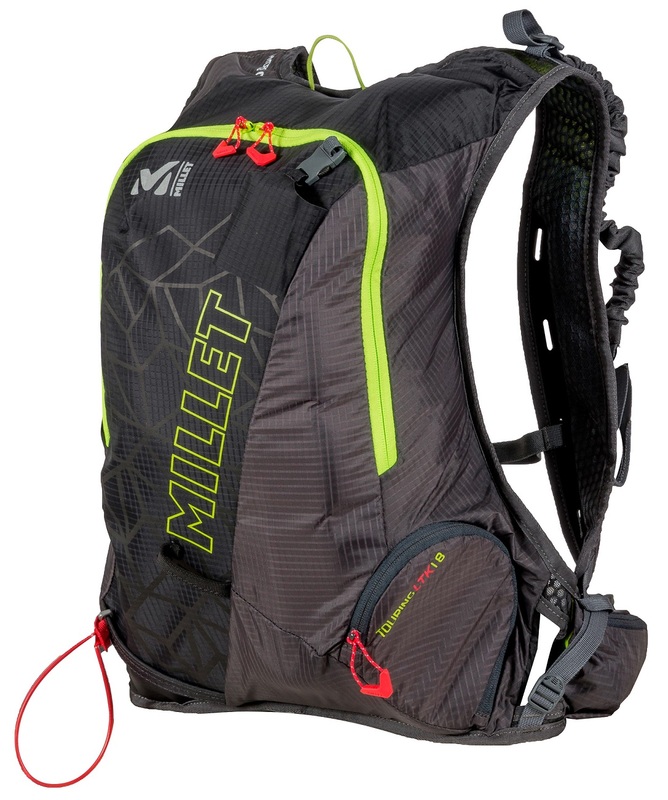 The Millet Touring LTK 18 is a light-yet-comprehensive backpack for getting up and down mountains. Diagonal ski-carry system can be operated without taking the pack off. Direct-access Crampon Pocket™ lets you stash your sharps or liquid. Zippered waist-belt pocket holds energy, cameras, scrapers & straps. 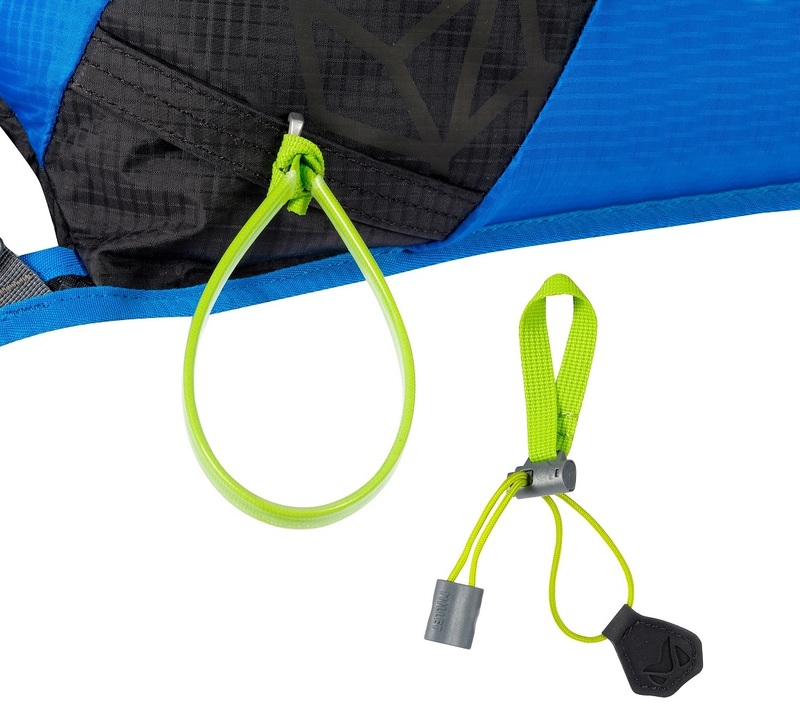 QuickAxe™ holder neatly stows your ice-axe and secures it with a clip. 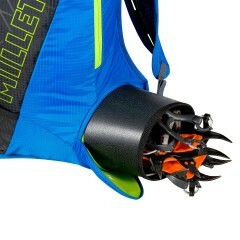 Ski-carry converts to a pole holder to get extra mileage in the summer.  Chest strap can be moved to achieve optimum fit based on your load. 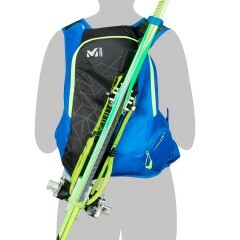 Wrap-around ski-carry is elastic and is stored on the shoulder strap. Removable crampon-point protector prevents sharps from digging. 3D Mesh Back™ ventilates your back while providing ample support. 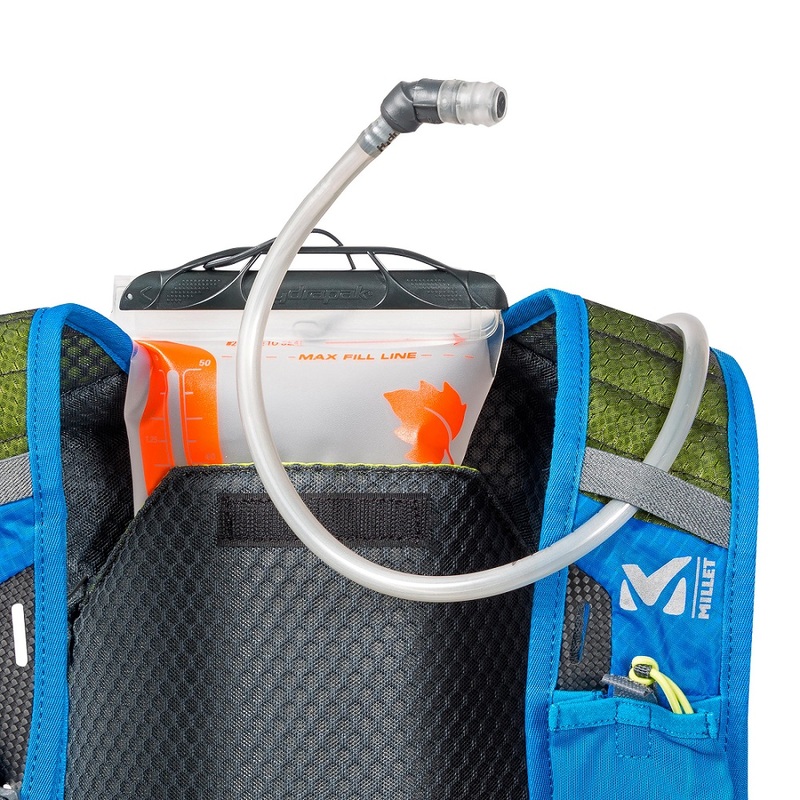 External hydration pocket holds a bladder between you and the pack. Internal shovel and probe fasteners plus mesh pocket keep it orderly. Mesh stash pouch on the left shoulder is great for soft flasks or gu.